The Bodhisattva of Pure Wisdom arose from his seat in the sacred assembly, bowed and then prostrated himself at the feet of the Tathagata and then circumambulated about him three times to the right. He then knelt down and with hands clasped in a manner depicting sublime devotion, invoked the Blessed One. After invoking his pleas in three-fold fashion, he then once again prostrated himself on the ground before the feet of the Blessed One. 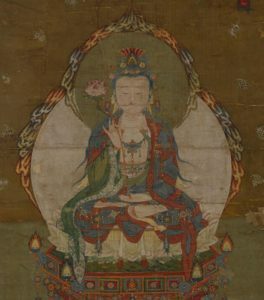 Bodhisattva of Pure Wisdom: while not directly specified this Bodhisattva would appear to have qualities connected with Mahāsthāmaprāpta, who represents the Power of Wisdom. Wisdom is normally reserved for Mañjuśrī but here we have a Bodhisattva whose resolve is to remove the stain of ignorance by stressing the clarity of truth so that minds may conform to the omniscient qualities of the Tathagatas. Bodhisattva of Pure Wisdom became filled with great joy and listened silently along with the rest of the assembly. “Virtuous ones, all sentient beings since time immemorial have conceived of a “false-self” and attachments to that self. Hence, they have never known the successive arising and perishing of thoughts. “Virtuous ones, even for Bodhisattvas this realization would also become a hindrance—thus they do not have the freedom associated with unobstructed awakening. 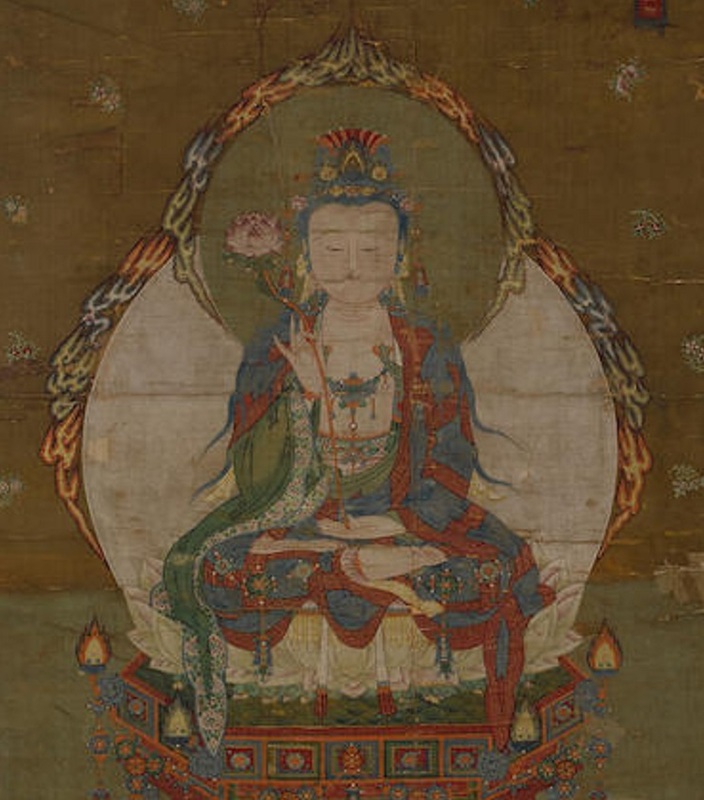 This is called the bodhisattva before the stage of the first bhumi’s accordance with the nature of enlightenment. is devoid of attainment or actualization. It is absent of Bodhisattvas or sentient beings. there are present distinct and progressive stages. yet Bodhisattvas, too, are not free from their hindrance of knowing enlightenment. and never exhibit any debilitating marks. and is thus called “all-pervasive”. are capable of appearing in the saha-realm as Bodhisattvas. they are already perfected with innumerable merits. all are in accordance with Perfect Wisdom. This entry was posted in The Sutra of Primordial Enlightenment and tagged five desires, Mahāsthāmaprāpta, Pure Wisdom, Ten Abodes, Ten Faiths, Ten Grounds (bhumis), Ten Practices, Ten Transferences, The succession of arising and perishing thoughts, Wisdom of all aspects. Bookmark the permalink.